Finish reading the Game of Thrones series (done with the 1st book, last month) – yeah, I’m not a fast reader when it comes to series. I probably will add a few more on the list there later. 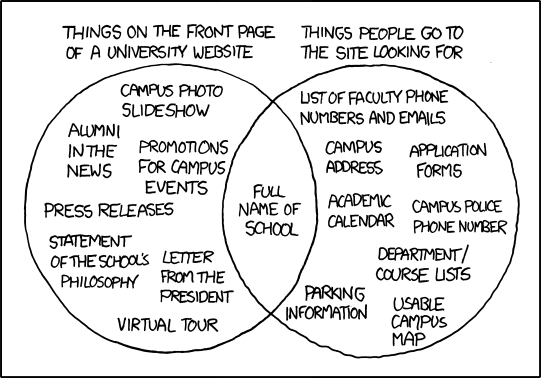 University website according to xkcd which, by the way, is troo.